An American tradition for a century or more, homecoming was first celebrated at universities and colleges to welcome back alumni, but for many high school students it’s the first dance they’ll attend. 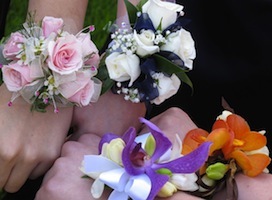 Along with parades, football games against rival schools and the crowning of the Homecoming Queen, is also the first time many nervous young men will wait at the door with corsage in hand as their date comes down the stairs. Meet her (or him) with flowers that look fresh and fabulous all night long by choosing some of these spectacular stems that are the perfect choice for a corsage or boutonniere. 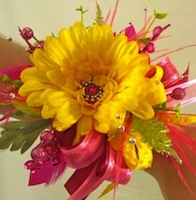 …try the bright and colorful gerber daisy. These sunflower relatives are flashy and dazzling and can be found in colors like white, red, pink, orange and yellow. 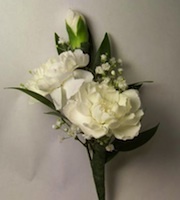 A different take on the traditional rose corsage, one made with gerber daisies will stand out beautifully in photos and will look great next to a black or white dress or jacket. 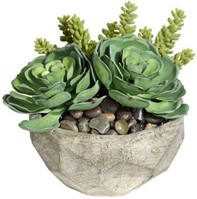 A talented florist can add a bit of bling in the center and accent it with green or red hypericum berries or a few feathers to make a one of a kind corsage for your one of a kind date. 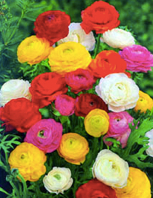 …carnations are the perfect choice. Classy without being old-fashioned, these look great pinned to a lapel or with a matching ribbon around the wrist. White ones are said to represent the loveliness of a woman’s charm in the language of flowers while dark red ones are symbolic of admiration. 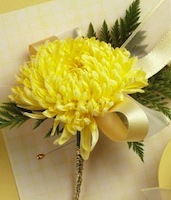 …then the only appropriate flower is the chrysanthemum. Traditionally, the large Fuji or Spider mums (sometimes called Football mums) were called the Homecoming flowers and used in everything from wreaths to corsages to welcome back alumni and decorate the cars that carried in the Homecoming court. In a dazzling array of colors, chrysanthemums will be the perfect match for any potential royalty, though the traditional color is yellow, gold or white for this occasion. 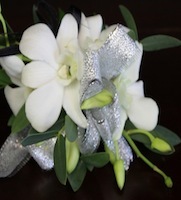 Ask for a larger one with drooping petals and a few dainty freesias tucked in trimmed with ribbons in your school colors for a look fit for a king or queen. …pick a flower that’s as bold and unique as your are- the orchid. With more than 25,000 different species to choose from, you’ll be sure to find one that’s perfect for you.